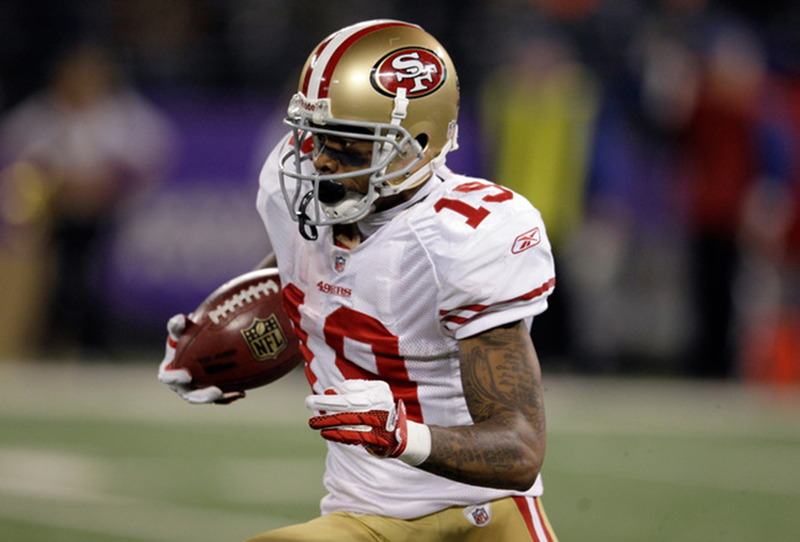 Ted Ginn Jr. is a bigger component of the San Francisco 49ers than given credit. Ginn limped off the field after he was tackled around the right ankle on a 9-yard reverse in the third quarter of San Francisco's 29-24 preseason win Sunday. Ginn was taken to the locker room, and X-rays were negative, head coach Jim Harbaugh said. San Francisco needs Ginn completely healthy for a run at Super Bowl XLVII, because the last thing any 49ers fan wants is a special teams encore from the NFC Championship game. He can also help out a lot more offensively than expected. Since the Niners possess so much talent they have an opportunity to expand the playbook by presenting a more dynamic attack on top of the traditional calls. Let's see where Ginn fits in the offense and why he's needed in winning the Bay Area's sixth Vince Lombardi Trophy. Obvious plays with Ginn on the ground are any kind of reverse, end-around or direct snap if San Francisco were to sneak in the Wildcat. The jet sweep, though, is the one option where Ginn can really do some damage to defenses. It can, however, quickly go awry when used in predictable formations and game situations. For one, it can be an easy read because the defense simply has to contain and be aware of blindside blocks. With Ted Ginn, the 49ers have the luxury of fielding Frank Gore in the backfield. Any time Gore gets the rock inside, Ginn should be sweeping around the edge on a fake. And this is not to be like those end-around fakes we constantly see on every running play between the tackles. Ginn has to remain close to the line of scrimmage and come directly across the developing play, not bending into the backfield for the fake. Maintaining precise linearity prevents the linebackers and secondary from viewing the handoff/fake because of the traffic caused by the offensive and defensive lines. In short, the second level players briefly freeze like it's a play-action pass. When Ginn finally receives the handoff, he'll see open space around the edge and the chance to turn on the jets. This can also be used as a double play-action pass (first off Gore) in which Ginn turns his fake into any route combination downfield. This keeps the defense honest and will force the ends to rush upfield more quickly, thus creating a safer pocket for Alex Smith. Alex Smith is one fortunate signal caller in 2012, because the 49ers have supplied him with an abundance of talent. 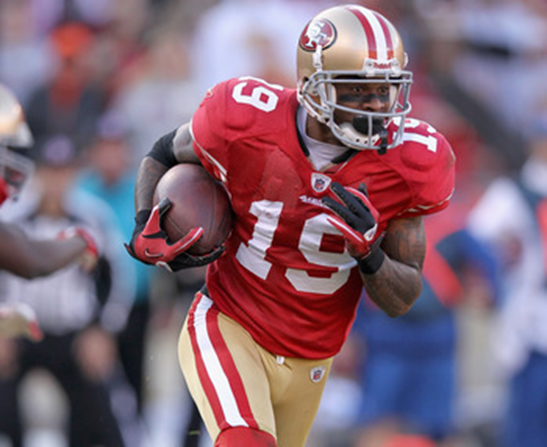 With targets like Randy Moss, Michael Crabtree, Mario Manningham and tight end Vernon Davis, Smith can't go wrong. Include the running game with Gore and rookie LaMichael James—who is also a receiving threat—and Ginn will never face double coverage. One thing the 49ers must steer clear of, though, is lining Ginn up in non-spread formations. This will just limit his acceleration and speed because the more aggressive corners will jam and use the boundary as an additional defender. Put Ginn in the slot and inside of Moss, however, and he has more room to create separation and get downfield. No one can match him in single coverage and every Cover 2 scheme will have to honor him, splitting down the middle. Even if teams go Cover 3 or 4 against the Niners when in a spread formation, Ginn can just drag over the intermediate level. He's eerily similar to Mike Wallace of the Pittsburgh Steelers in that Ginn must get the rock when in stride. Doing so allows him to burn past any would-be tacklers for excellent yards after the catch. No, he's not going to make 40-plus receptions but he won't have to. Ginn is just another viable option for Smith, as his speed alone will prevent a defense from doubling any one of San Francisco's receivers. Being a double-duty return man is quite unique in today's NFLand the 49ers have a major competitive advantage with Ginn back deep. Reverting back to his days on the Miami Dolphins, Ginn compiled 3,386 kick return yards and took two back before joining San Francisco in 2010. The video is of Ginn's two touchdowns with Miami that happened during the same game three years ago. Here, we see Ginn in his element. He displays excellent vision, athleticism at dodging tackles, patience and that impressive high gear to outrun defenders when in open spaces. As dominant as Ginn was in South Florida, his most efficient year came with San Francisco in 2011. There, he was third in the league, averaging 27.6 yards per kickoff return and totaled 800 yards with one score. Kickoffs are where this man is most dangerous because he's already hitting near full stride while the lanes are being set up. All Ginn has to do is pick a side and burst through the slimmest of openings. Field position is obviously key, and setting up this offense past its own 20-yard line before each possession only gives the Niners another major edge. Known just as well for his punt-returning skills, Ginn wasn't present for the 49ers during the NFC title game last January. After Kyle Williams lost two fumbles on punts it was evident that Ginn was sorely missed. After all, Ginn enjoyed his best season as a punt returner with 466 yards, one score and a 12.3 average in 2011. Unlike kickoffs, though, punt-returning requires even more patience, trust and anticipation in order to be consistent. When fielded blocks aren't as smoothly set up as kickoffs and in spite of a designed return in place, it's mostly improvisation from the returner and a solid effort of blocking from everyone else. And with his experience, Ginn has been a prime performer on punts. His acceleration and lateral quickness is the most vital here, because getting upfield sooner is needed. On kickoffs he's already running, so acceleration and field awareness doesn't factor in as much. But because Ginn can explode fast and change directions on a dime, he gives San Francisco another field position advantage. And the worst-case scenario comes in the form of punters attempting to direct the punt away from Ginn. 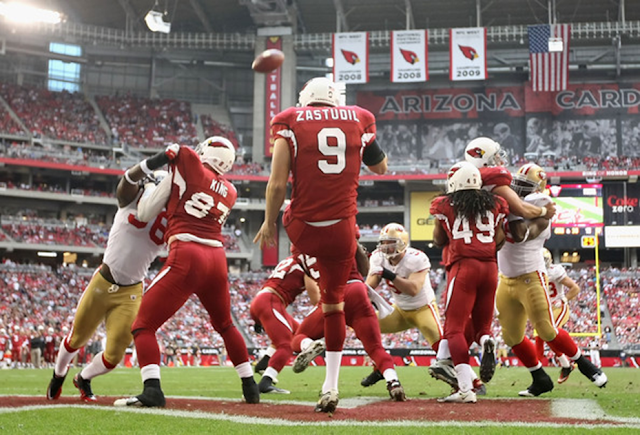 Doing so, however, sometimes results in a shanked punt that still gives the Niners better field position. Any way you slice it, Ginn is a distinct asset to the 49ers and his contributions will lead to a Super Bowl. ON THE MARKUS: Some Giants compare him to comic-book hero Thor, but German-born DT Markus Kuhn also reminds some of Arnold Schwarzenegger’s Terminator as he fights to make the team. It was not exactly a shocker to hear “Born In The USA” blaring from the gigantic speakers last Saturday night at MetLife Stadium during a break in the Giants-Jets preseason game and, without really thinking, Rocky Bernard, who was sitting on the bench, began singing along to one of Bruce Springsteen’s most popular rock anthems. Alongside Bernard in the cluster of defensive tackles, rookie Markus Kuhn listened to the lyrics of the chorus and couldn’t help but feel just a bit slighted. “That’s just messed up, man,’’ Kuhn said to his humming-along teammate. “He’s from Germany,’’ Bernard explained. Yes he is. Kuhn was not born in the USA, but rather in Weinheim, Germany, although many of the Giants believe Kuhn hails from much, much farther away: Asgard, home of one particularly hunky, hammer-throwing, long-haired Norse God. 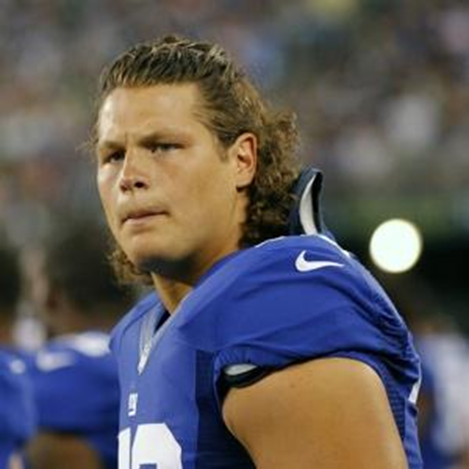 “He looks like the real life Thor,’’ Justin Tuck said. And he sounds like a latter-day Arnold Schwarzenegger, which is why he has been referred to as “The Terminator,’’ and one day in training camp up in Albany, he couldn’t believe what mindlessly came out of his mouth when bussing his tray in the team cafeteria. As he left the table, he stated to teammates, “I’ll be back,’’ and it sounded, accent and all, just like the famous movie line. “I didn’t even realize I said it and they all started cracking up laughing,’’ Kuhn said. How he looks, what he says and how he says it are fun diversions, but the Giants need to know if the kid can play. Actually, he’s not a kid, but a 26-year old rookie who came to football late (age 15) and is one of only two German players ever to get selected in the NFL Draft (offensive lineman Sebastian Vollmer was a 2009 pick of the Patriots). The Giants face the Bears tonight in the third preseason game and coach Tom Coughlin said his starters will at least play until halftime. When the reserves take over, Kuhn again will get his chance to show he’s worth keeping around. When training camp started, Kuhn, a seventh-round pick from North Carolina State, seemed destined to be practice-squad material, given he was so raw and the defensive tackle position was so loaded. Things have changed. Chris Canty remains out following knee surgery, Marvin Austin is sidelined with back issues and Shaun Rogers is dealing with a blood clot in his leg and hoping he can salvage his season. There’s light at the end of the tunnel for the likes of impressive first-year Dwayne Hendricks and former Broncos tackle Marcus Thomas. Kuhn also has a shot. In his two games and in several practices Kuhn has managed to do something to get him noticed — the “flashes’’ coaches always want to see. Early in the third quarter against the Jets, in one of his first plays, Kuhn was able to penetrate and trip up Tim Tebow for a 1-yard loss. Back home, his buddies noticed. No one has questioned Kuhn’s effort, and if the numbers don’t work for him, he’s virtually assured of sticking around on the practice squad. 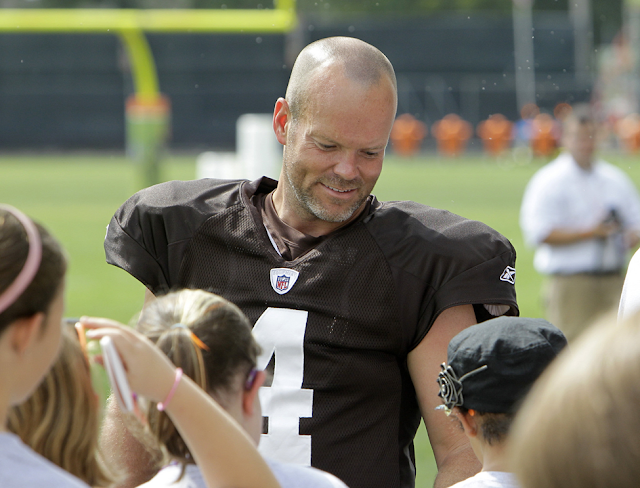 Phil Dawson is amazing. He kicked field goals of 53, 52 and 47 yards. 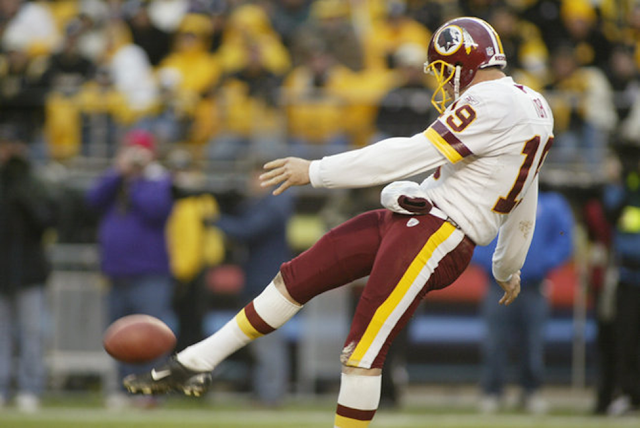 He also kicked an extra point from about 37 yards when Cousins was flagged for a 15-yard penalty. 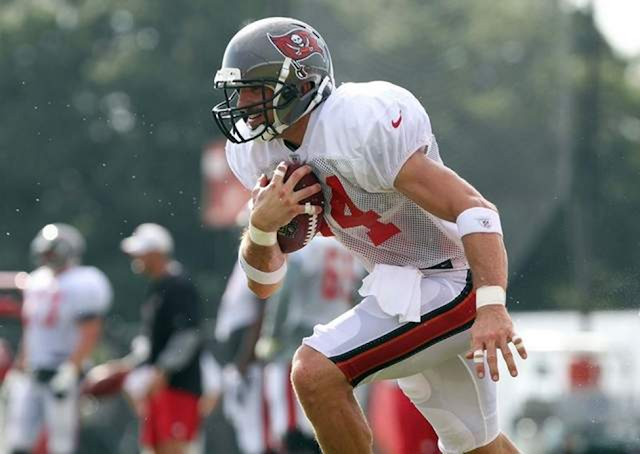 "I actually practice that, extra points after a 15-yard penalty," said Dawson. "It's never happened before to me, but I figured if I kicked long enough, one day it would." FOXBOROUGH, Mass. 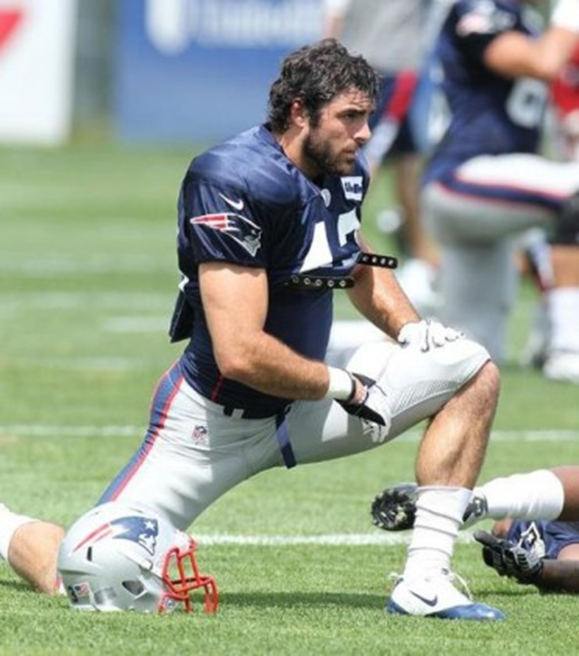 -- Sixth-round draft choice Nate Ebner was selected with special teams in mind, as he was widely viewed as Ohio State's best player in the kicking game. Furthermore, he only played a few snaps on defense in his final season with the Buckeyes. Still, one of the things that has stood out in recent training camp practices is Ebner's ball skills at safety (he's had a few interceptions this week). On Tuesday, director of player personnel Nick Caserio was asked about Ebner and his work on defense. "[He] didn’t really have a lot of experience just defensively at Ohio State but [he's a] smart kid, [and] understood what they were doing real well defensively. I think he’s learning. I think it’s a process for him," Caserio relayed. "But he has good size [6-0, 210], he’s smart, [and] he can run." Caserio added that for such an inexperienced defender, there are things Ebner will have to learn from a technique standpoint, in addition to reacting quickly to formations and shifts, and being able to communicate that. The coaching staff has tested him early, at times putting him on the field with some of the club's other top defenders. Ebner, who missed the first week of camp with an undisclosed injury after passing his conditioning test, spoke with reporters after Wednesday's practice and said he's accepting every challenge put in front of him. 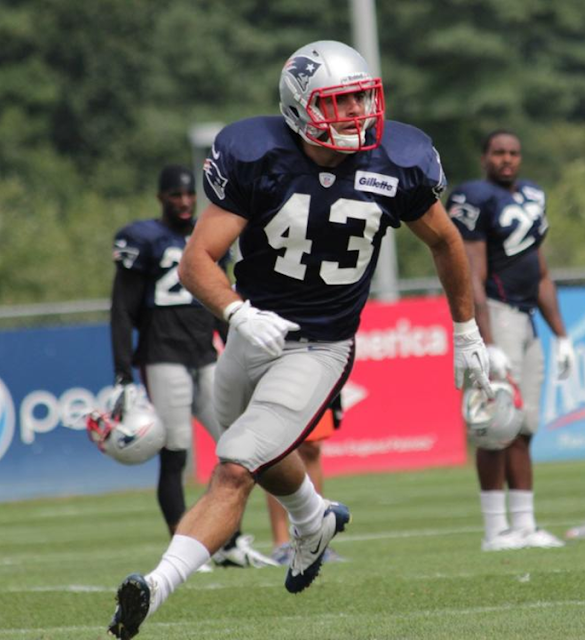 "It's been great to be a part of this team," said Ebner, who played on two of the top special teams units in the preseason opener. "I have good people to watch and learn from. We have a lot of great leaders on this team, and good guys to follow in their footsteps." 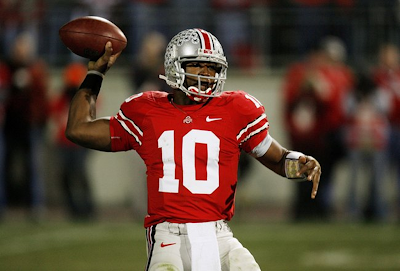 From Tim Bielik's "Ohio State Football: The All-Time Dream Team"
Of all the Heisman Trophy winners in the school's history, Troy Smith is the only quarterback to bring home the hardware. Smith's senior season, sans the national championship game, was incredible and almost set the standard for what a true dual-threat quarterback should be able to do. 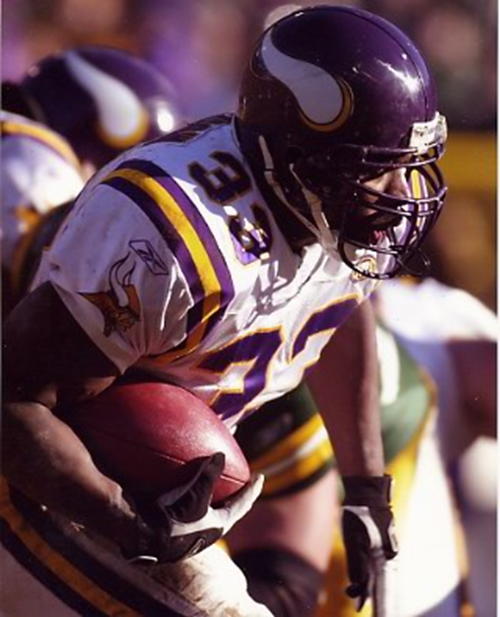 Smith racked up about 8,000 yards of total offense and 68 touchdowns in his career, 31 of which came in the 2006 season. Ohio State has had some solid quarterbacks in recent years, but Smith has been a cut above the rest, and he should be the standard for how Buckeye quarterbacks should play. Ohio State has produced as many good receivers in the past 25 years as any other school in the country, and the two best from those eras couldn't be more different. Ted Ginn, Jr. may have been the fastest receiver in school history, with an ability to get behind almost any DB at will. Ginn finished his career with over 4,000 all-purpose yards and 26 touchdowns between rushing, receiving and returning. His last touchdown was a kickoff return against the Florida Gators in the 2007 BCS National Championship Game. Unfortunately, he got injured and missed the rest of the game. Ohio State has not had a great history of TEs, but John Frank was an excellent player at the position. Frank is the career leader among TEs in receptions (121) and yards with 1,481. He was a two-time All-American. The defensive front four of the OSU Dream Team is full of relentless, athletic players that made plays in both the running game as well as while rushing the passer. Mike Vrabel, now an assistant with the Buckeyes, recorded 33 sacks and 66 TFLs in his career, both of which are school records. He then went on to help New England win three Super Bowls. 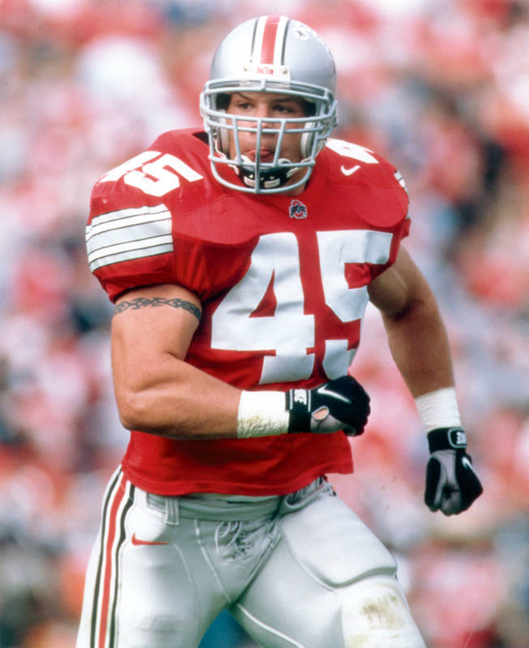 Ohio State has long been a linebacker powerhouse and produced three amazingly talented linebackers in three respective decades. Andy Katzenmoyer may have been the most imposing linebacker in school history, as "Big Kat" towered over opposing offenses. 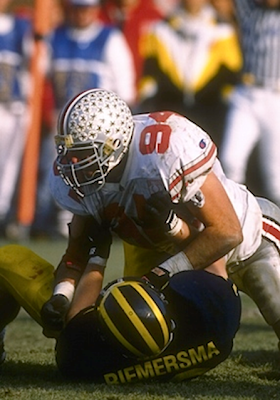 He started 37 games from 1994-96 and recorded 197 tackles, 50 of which were losses and 18 sacks. He was also the first inside linebacker in school history to win the Butkus Award. 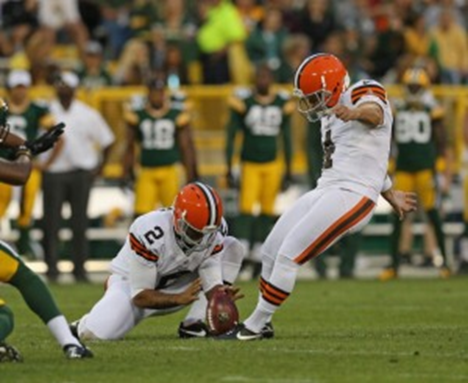 When it comes to kickers at Ohio State, Mike Nugent was as reliable as they come. Nugent has the career marks in FG percentage (.818) and scoring with 365 points. He also won the Lou Groza Award and was named a first-team All-American in 2004. 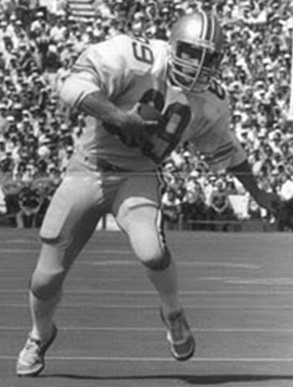 Tom Tupa was very reliable as well, not just as a punter but also as a quarterback. 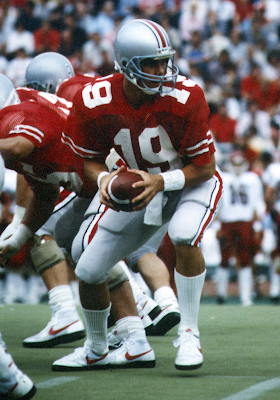 He threw for 1,786 seasons and 12 TDs as a senior in 1987, starting both at quarterback and at punter. 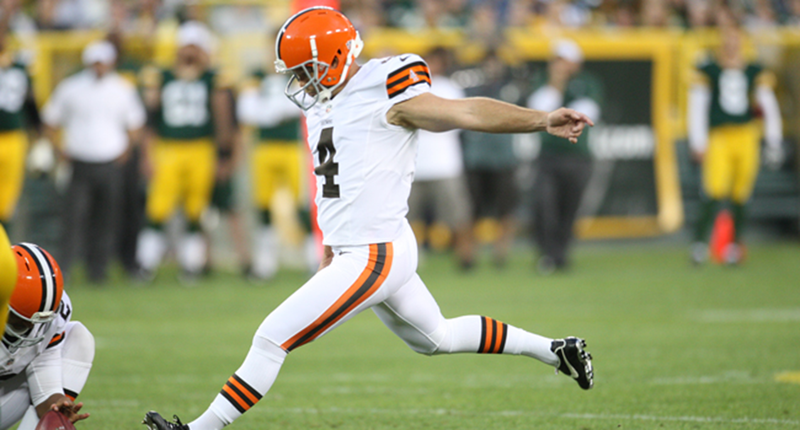 Tupa enjoyed an 18-year career in the NFL with a career average of 43.4 yards per punt. OWINGS MILLS, Md. — He made his first Pro Bowl appearance in January, closed on a house in Marion in May, has a second child on the way and is getting ready for his sixth season in the National Football League. It might be easy for Marshal Yanda, a graduate of Anamosa High School, to become comfortable as an offensive guard/tackle for the Baltimore Ravens. But that is not the case for the former Iowa standout, whose team beat Atlanta, 31-18, in its first preseason game Thursday at Atlanta. The Ravens, who open the regular-season at home Sept. 10 against Cincinnati, are the only team in the NFL who have made the playoffs each of the past four years. Baltimore just missed a trip to the Super Bowl with a loss to New England, 23-20, in the AFC championship game in January. A consolation of sorts for Yanda, who turns 28 in September and was drafted by the Ravens in 2007, was his first trip to the Pro Bowl in Hawaii in late January with his wife and extended family. He and his wife, who have one child and the other due in October, had never been to Hawaii and were able to visit Pearl Harbor and other sites. Yanda was among 17 people, mostly family members, who made the trip to Hawaii. He footed the bill of $25,000. Yanda, who played at North Iowa Area Community College in Mason City before heading to Iowa, said he took suggestions from some of his Baltimore teammates who had been to Pro Bowl games about making the most of the opportunity. “I took the advice of the older guys. You never know. You could blow a knee” and never make another Pro Bowl, he said. He made four fishing trips to Canada before reporting to camp with the Ravens. And Yanda continued to work out this summer under Hawkeye strength and conditioning coach Chris Doyle in Iowa City. Yanda is not the only Ravens player with ties to Iowa. 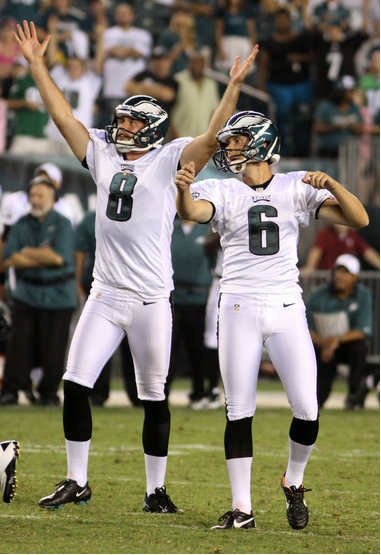 Veteran field goal kicker Billy Cundiff is from Harlan and played at Drake, safety Sean Considine played at Iowa and offensive lineman Kelechi Osemele was a second-round draft pick this year from Iowa State. Osemele, an All-American at ISU, gives Yanda a lot of credit for helping him make the transition to the NFL. Yanda said he can only get better as a veteran. “You definitely know what to expect. You gain more and more experience every year,” Yanda said. Super Bowl Champion and second-year Chicago Bear Matt Spaeth, a former Minnesota Gopher standout and St. Michael-Albertville native, has literally raised thousands of dollars now for local charities and organizations with his summer golf tournament. Spaeth and the St. Michael-Albertville Football Boosters would like to thank everyone who made the 2012 Matt Spaeth Charity Golf Tournament a huge success. A total of $7,000 was donated to the Hanover Food Shelf, and $3000 will be given to the STMA Student Fund to help students at STMA High School. The tournament was held June 29 at Fox Hollow Golf Course. Ted Ginn, Jr. was a near-unanimous choice to win the gold medal if the 49ers held an Olympics-like 100-meter dash among players. SANTA CLARA -- We don't know exactly why, but football evaluators use the 40-yard dash as the measure of a player's speed. The 49ers have a number of players who ran the 40 in sub-4.4 seconds during their respective pre-draft workouts. And with the amount of speed on the team, it would make for some good competition. Cornerback Tarell Brown, who ran in the low-4.4s at the NFL scouting combine in 2007, struggled when asked who would be atop the podium if there were an Olympics-like 100-meter dash among 49ers players. There might not be anyone like Olympic sprints champion Usain Bolt on the 49ers. But there are plenty of players who can bolt down the field. "Definitely, Teddy (Ginn)," Brown said. "We have a bunch of guys who can run. We got six guys -- or more. Vernon (Davis), Randy (Moss), Teddy, me, (Chris) Culliver. A.J. Jenkins. And there are some other young guys, (Deante') Purvis, (Nathan) Palmer. "If we had a relay team, we'd win the NFL Olympics." Cory Nelms, who ran track at Miami (Fla.), was clocked as fast as 4.35 in the 40 last year. So, of course, he envisions winning the gold among the 89 players on the 49ers' roster. Ginn is his choice for the silver. As for the bronze . . . "believe it or not, Randy. He can get down there." Nelms mentioned Kyle Williams, who ran 4.34 at his 2010 pro day, as someone who would be in medal contention. When asked about rookie running back LaMichael James, Nelms answered, "I've never seen him open it up." Running Frank Gore picked James for third behind his projected top two of Ginn and Davis. "You can tell he's fast," Gore said of James, who clocked a 4.32 at the combine in February. Jenkins, who was timed as low as 4.30 in the weeks leading up to the draft, also lists James as the bronze medalist. He resisted the urge to put himself on the podium. "The first one has to be Ted Ginn," Jenkins said. "Who's the second-fastest? I'm not going to say myself. I think the second-fastest is Kyle Williams. I'll put LaMichael at third. I'm not being biased." 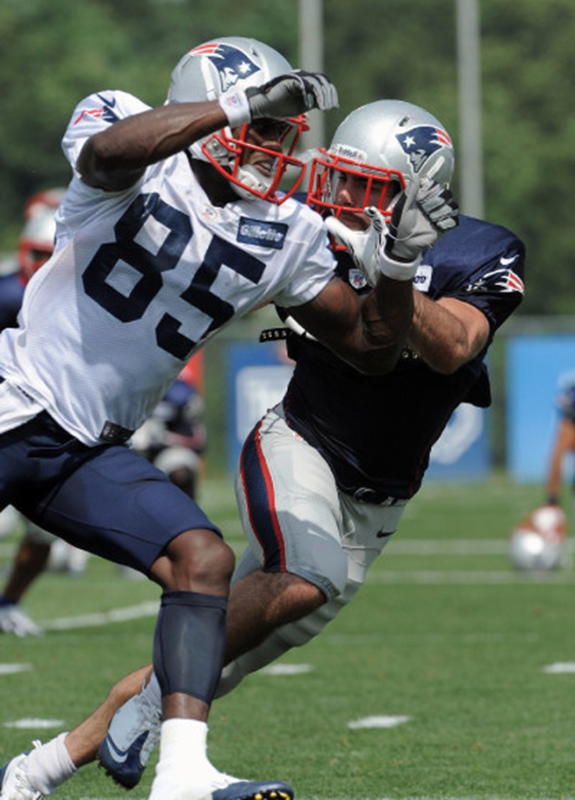 FOXBORO - Brandon Morabito's favorite player is finally on the practice field for the Patriots. Nate Ebner, the sixth-round choice of the Patriots whose name was announced on Draft Day by the 10-year-old Norton lad at Radio City Music Hall, has recovered from an undisclosed injury and has been doing what comes naturally to him - running up and down the field at breakneck speed, trying to hit someone. Special teams are Ebner's forte. It's what he did at Ohio State when he wasn't playing rugby - he walked onto the football team to see what he could do in addition to being a world-class rugby player - and it's what attracted Bill Belichick's attention during the draft. Technically, for classification purposes, Ebner is a defensive back. But he has been a regular participant in special-teams drills since returning to the practice field at the end of last week. He said he wasn't worried that his absence from the practice field was going to hold him back. "I'm not really worried about that," he said. "I'm just going to focus on getting better every day and taking it one step at a time. Wherever they want to play me, I'm going to do whatever I can for the team. That's all I'm worried about, doing the best I can wherever they put me." Ebner is a rock-hard 6-0, 205 pounds and he's already established his toughness by playing rough-and-tumble rugby. In fact, he really doesn't have any football role models or Patriots to idolize because of his unique upbringing in the sport. But he said he still needs to be shown the ropes of this endeavor, and he knows where to look for examples of what he needs to learn. "I just try to watch what the veterans do," he said. "I want to earn their respect. There's a bunch of great guys out here." Former Colts general manager Bill Polian, visiting Bucs camp Monday with Sirius NFL Radio, offered his sentiments while watching practice. Polian is uniquely qualified to address free-agent signee TE Dallas Clark, who was a Colt until last season — also Polian's last with the team. As he watched Clark, 33, have another good practice, Polian seemed convinced Clark could be an important asset if healthy. "He's still as good a player as you can find," Polian said. "The Dallas Clark intangibles are off the charts. If you drew up a football player and said I want the guy to have a love for the game, great work ethic, smarts, cares about football and his teammates, tough — if you looked all of those up, his picture comes up. He's as good as it gets in that regard. And he is, and was, exceptionally talented. He's as talented as any receiving tight end as there's ever been in the league. "The only question is his health." It's a big question considering how much time Clark has missed in the past two seasons — 15 of 32 games — but Polian has a theory on why Clark looks so good. "Maybe the fact that he had that layoff last year might actually be good for him," Polian said of Clark, who played six games in 2010. "The 100-catch season (in 2009) took a real toll. You don't catch 100 balls down the middle and not take a lot of hits. Hopefully he's back and feeling better and if he stays healthy, he's a great addition to the football team on and off the field. He's as good as it gets." 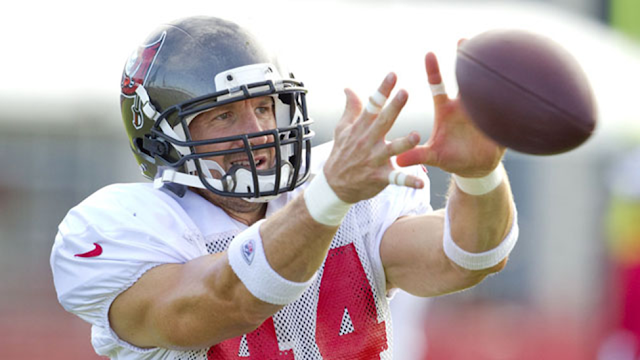 Polian also addressed coach Greg Schiano's heavy-handed approach. "That's exactly what this team needed," Polian said. "This is a team that needs discipline. They have to cut out the penalties and the mistakes — all the things that don't help you win. He knows how to win and I don't doubt that he'll be successful." FORT WORTH — TCU made a big national splash last month when former Miami coach Randy Shannon was hired as the Horned Frogs’ new linebackers coach. TCU coach Gary Patterson said that Shannon has barely arrived at TCU after visiting with his daughter who is serving in the military in Europe. But he expects Shannon’s expertise to quickly impact the Horned Frogs. Shannon worked under Larry Coker at Miami, where he led helped lead two teams to national championship games and had three defenses that led the nation in total defense. 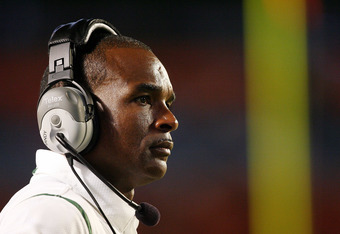 He later served as Miami’s head coach for four seasons before he was fired at the end of the 2010 regular season. He went 28-22 in four seasons as the Hurricanes’ head coach. Patterson and Shannon have been friends for many years. He visited TCU twice on spring fact-finding visits since leaving Miami and also watched several of TCU’s bowl practices before the 2011 Rose Bowl. In a way, being able to attract Shannon to join Patterson’s coaching staff is an indicator of TCU’s growing influence in college football. Several TCU defensive players said Sunday they can’t wait for his arrival. Former TCU linebackers coach Tony Tademy resigned after spending seven seasons on Patterson’s staff to spend more time with his family. Tademy has taken an assistant coaching job at Duncanville High School. From Darren Urban's article "Hall of Fame game aftermath"
Dave Zastudil had a great day punting in his home state, including a Hall of Fame game record 79-yarder. 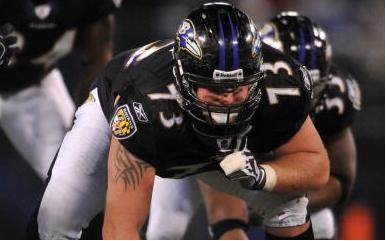 Leading up to the Ravens' Week 17 contest against the Cincinnati Bengals last season, Marshal Yanda's ribs were in so much pain he couldn't bend over to put on his socks and shoes. Yanda found a way to block out the pain, like he has throughout his career as he enters his sixth NFL season. The discomfort Yanda felt months ago after he suffered bruised ribs Week 16 against Cleveland, was just a memory on Tuesday as he participated in training camp. When asked to reflect on playing through the pain, Yanda chose to focus on the present, saying he is 100 percent. The right guard, who also had emergency calf surgery in December, has shown how valuable his toughness can be for the team's offensive line. "Injuries, they happen, you just gotta grind through them," Yanda said . "You try to play as best you can to help the team win, and as long as they won't be detrimental down the road, you have to take them in stride." Yanda has started all 16 games each of the last two seasons and earned his first Pro Bowl selection last season after helping running back Ray Rice rush for a career-high 1,364 yards. From farming roots, Yanda played college ball in his home state at the University of Iowa, which he said always seems to churn out hard-nosed, tough pros. "[Toughness] came from my parents and growing up on a farm," Yanda said. "Then when I went to college, they kinda drill it into you there, and I liked that anyway. So I got it from a farm and Iowa." Despite his thrashing of opposing defenses, there's a much lighter and more easy-going side to the 6-foot-3, 315-pound lineman. Yanda can often be seen joking around with teammates during practice, but acknowledges he has to toe a fine line between having fun and not taking his work seriously. "Obviously, you want to have fun, but you don't wanna be joking around too much," Yanda said. "It's practice, and since we gotta do it anyway, there's no reason to be miserable and hate it like a lot of guys do." Leadership and toughness have made Yanda one of the NFL's best offensive lineman, Ravens head coach John Harbaugh said. While he has become a staple and one of the league's toughest men to face in the trenches,the rest of Baltimore's line still has plenty of questions this preseason. Yanda is one of just two linemen back at the same position this season — Ben Grubbs left for New Orleans, Bryant McKinnie's physical status is unknown, and Michael Oher flipped from the right side to the left. Matt Birk, although he didn't practice Tuesday, will return at center, Bobbie Williams is expected to fill Grubbs' void at left guard, and Jah Reid has found himself in Oher's old spot. "No matter what, you have to have certain players that you can rely on," Harbaugh said. "And he's one of our guys. And the more of those guys you have, the better." Yanda knows that a starting job in the NFL is never safe, and despite the consistency he has shown his previous five years , he wants to keep improving. The Pro Bowl and second-team All-Pro (2011) selections were goals of his, Yanda said. But he knows that a player is only as good as their next performance. "You're either going forward or backward, you can't stay the same," Yanda said. "So I want to keep getting better or I'll go the other way and won't be playing." Katie Smith, Olympic Gold Medalist, and the leading scorer in Women's professional basketball history (7580 points) who now plays for the WNBA Seattle Storm came to speak to kids at the White Center Salvation Army summer day camp. 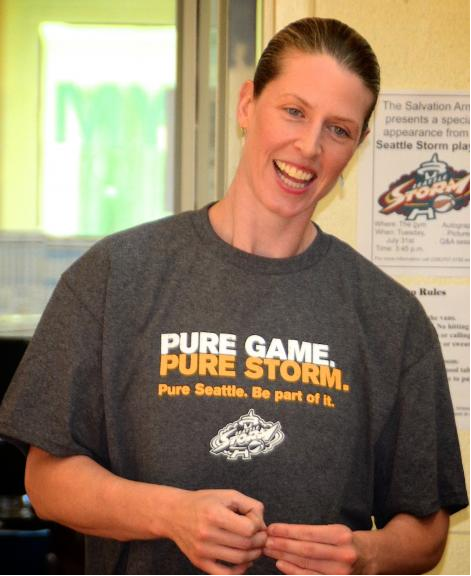 Olympic Gold Medalist and professional basketball star with the WNBA Seattle Storm Katie Smith paid a visit to the White Center Salvation Army July 31 and spoke to more than 40 kids from The Salvation Army summer day camp program. She came to sign autographs on pictures and basketballs and give the kids an opportunity to meet a professional athlete, ask questions, and get some inspiration, motivation and guidance from her positive messages. Smith spoke about her diverse interests growing up, mentioning her 4H participation and urged kids to pursue many interests, "not just stuff you are good at," she said. She cited the fact that she was her high school's valedictorian because while she was skilled at sports she worked hard on her studies too. "School and learning opens up all the doors," she said, "Never stop learning." Kids asked 'how hard is basketball practice?' and Smith acknowledged that "It's hard. It's intense. You want to win and you're trying to figure it out. That's what practice is. I'm tired at the end of the day. My legs hurt, and instead of putting an icepack on it, I sit in an ice bath." Smith stayed and posed for photos with staff and kids and answered more questions. Set up by Salvation Army Sports Director Sean Connors, the visit came about as the team was looking for participants to compete in their Youth Sports Night Pre-game Free Throw Contest coming up Aug. 16 before their game against Phoenix. A personal visit by Smith was offered, as a way for kids to get to meet and learn from a professional basketball player. The contest before the game is part of a ticket package. For $20 players get a ticket to the game (family and friends can pay only $15), an Adidas Title IX T-Shirt, entry to the Challenge, and can win other prizes. Sign in begins at 12:30. The game is at 7pm at the Key Arena. If you'd like more information about the challenge or for tickets visit www.wnba/storm or contact Lauren Wilkins at 206-272-2552. Smith, 38, who plays Guard with the Seattle Storm joined the team in 2011, after playing for the Minnesota Lynx (1999-2005), Detroit Shock (2006-2010), and Washington Mystics (2010-2011). She graduated from The Ohio State University in 1996, and began her professional career with the Columbus Quest (ABL). Her combined professional career with the ABL and WNBA makes her the all-time leading scorer in women’s professional basketball with a total (so far) of 7580 points scored. The Salvation Army Summer Kids Camp in White Center is one of many kids programs, including after-school homework tutoring and computer labs, youth athletic leagues, music lessons for kids and teens, and an evening meal program. At Day Camp throughout the summer, the kids participate in similar and more activities in a safe, encouraging environment. Families in White Center also participate in The Salvation Army rent/utility assistance program, food bank, and holiday assistance.